I see so many Mums on the internet who want to try baby-led weaning, but have so many fears, concerns and worries. I am such a huge advocate of using this method to wean babies that I wanted to answer some of them here. I can’t promote baby-led weaning enough. It has been amazing to watch my son develop and learn how to eat a vast array of foods and this is the one parenting choice I am so proud that I made. I hope this post can allay some or all of your fears about baby-led weaning. What will be people’s reactions when we eat out? Firstly, I have to say, do not give a stuff about what anybody else thinks! There will be people who will judge you no matter what you do. These Judgy McJudges will have an opinion on the fact that you breastfed, you bottle feed, you didn’t change your baby’s nappy for two hours or you dared to look at your phone for one second whilst in your baby’s company. These people need to be ignored and felt sorry for, because they clearly don’t have anything that interesting going on in their own lives. Most people will not bat an eyelid when you eat out in public. Some will look at your baby (and you!) in wonder and awe. Some people will feel the need to make comments (positive and negative! ), but hey, guess what, you’re the parent and you’ve made an amazing choice to do baby-led weaning. When people came over to us, I simply smiled and made it clear I wasn’t interested in striking up conversation about our parenting choices. I always made sure I cleaned the floor and for the most part, members of the public have been lovely and supportive. How will I know baby is eating enough? Many baby-led weaners live by the mantra that food before one is just for fun. I don’t necessarily believe this, as it is my opinion that babies DO need to eat to get the necessary iron that they need. That being said, at first, baby will just play with their food and only swallow minimal amounts and that is okay because the majority of their nutrition will still come from breastmilk and/or formula and will continue to do so until they reach 1 years old. (By the way, in our case, Dex didn’t magically stop drinking milk at one, it was a very gradual increase of food and reduction of milk over a six month period so that by 12 months he was only drinking one bottle a day which we switched to a cup on his first birthday). You will begin to see once you start baby-led weaning that baby’s nappies will begin to change smell, colour and texture. It may take many weeks for baby to get the hang of it (we were lucky, Dex knew what to do straight away) but it will happen. 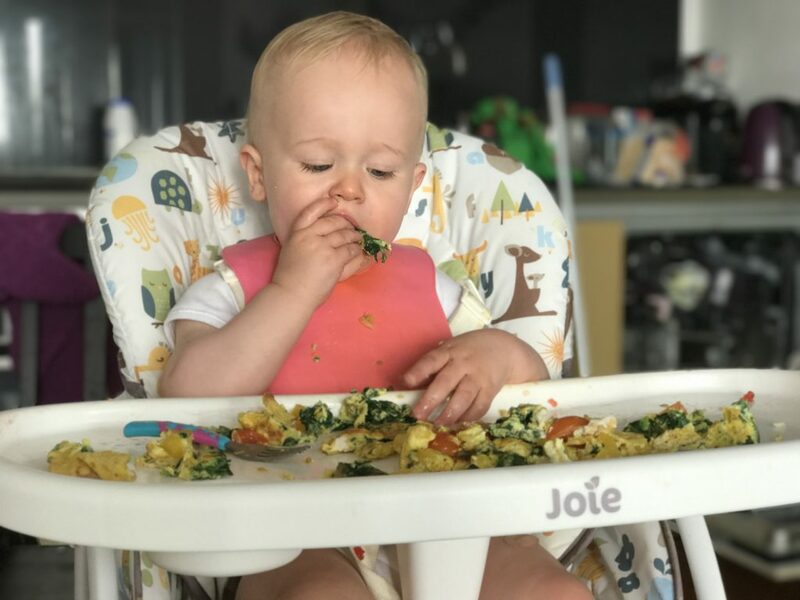 Perhaps, before you start weaning, you could eat together as a family with baby in the highchair (if he is ready) so he can see what you are doing and what meal times look like. I did this for around three weeks before we started the weaning process and Dex took to it like a duck to water. See your health visitor/doctor regularly for weigh ins which will give you the confidence that food is being eaten and is making a difference. Take many photos, it’s so hard to see when you are with your baby 24/7, but looking at the difference in your baby week by week will help. I don’t know where to go for advice, nobody else I know does this method of weaning. There are so many wonderful Facebook groups where you can ask for advice and people share their experiences, although I would always recommend speaking to your doctor/health visitor if you want medical advice. In some groups I am a member of there are over 40,000 people who have chosen to follow this method of weaning so never feel like you are alone. There are also tons of great books out there, including this fab one by Zainab Jagot Ahmed. Do your research. Read lots of studies, newspaper articles and read books. See what is available in your community. 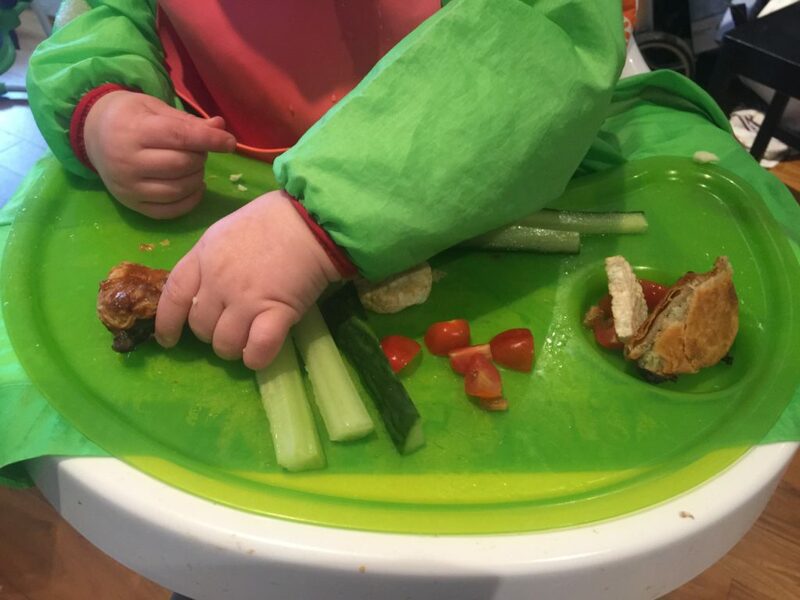 One of our local children’s centres runs a weekly baby-led weaning session where you can learn all about the method and then once a month they hold a session where you can take a range of foods and everyone sits and eats together. It is such a fantastic idea where people can take food they’re a little bit scared of introducing and do it in a safe and inclusive environment. If you don’t have anything like this in your area, why not set up something similar? I worry that baby won’t get enough iron. Offer lots of iron rich foods. There is so much choice out there, you really don’t need to stick to beef and spinach. I wrote a whole entire blog post about it which you can find here. I am worried about the reaction of friends/family. Once again, it is nobody’s business apart from your own, on how to raise your child. 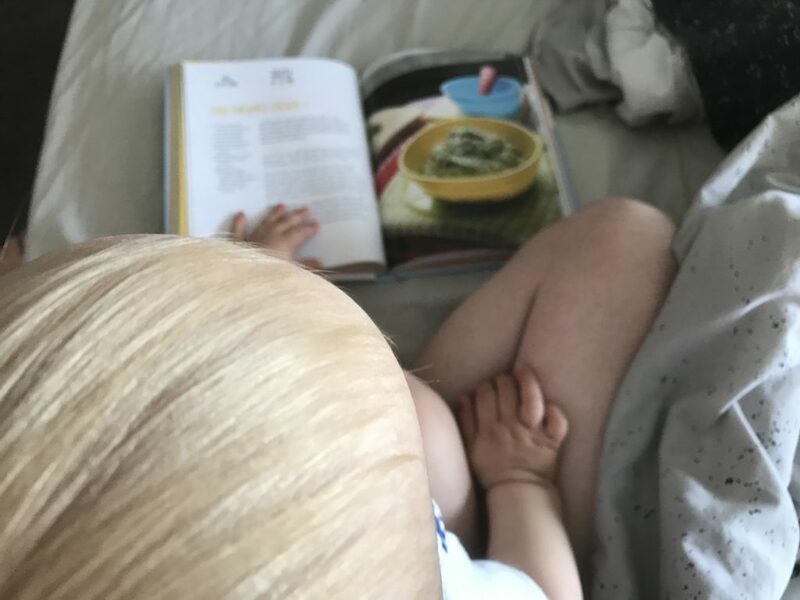 Arm yourself with as much research and knowledge as you can and if you feel it deserves an explanation then inform your concerned relatives about the many health benefits of baby-led weaning. 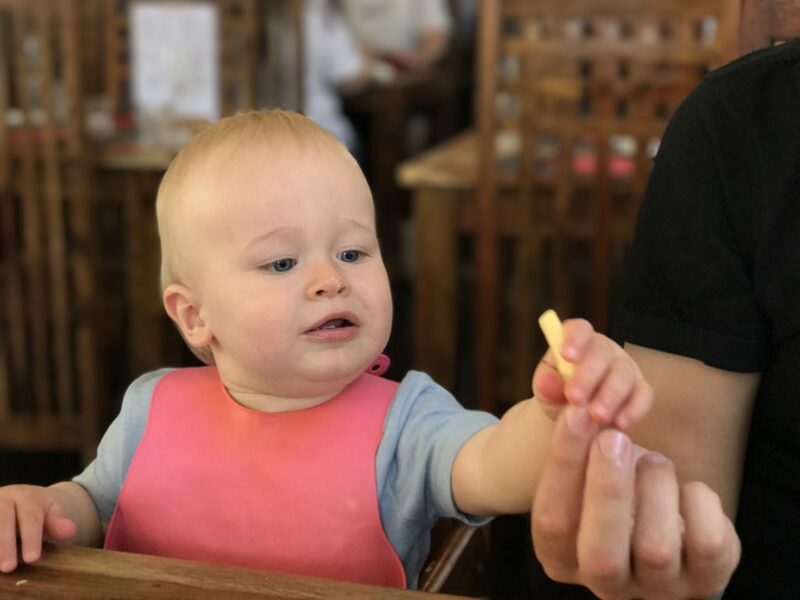 I hope this post has put your mind at ease about some of the concerns you may have around baby-led weaning. If there is anything else you are concerned about please do leave me a comment below and I will answer them the best I can. I would always recommend people to research Baby Led Weaning as it’s helped us so much so I love this post! I know one of the big concerns people have, especially older people like my mum, is around choking. I’ve found it incredible though how well babies are set up to deal with anything like that, their gag reflex is amazing!